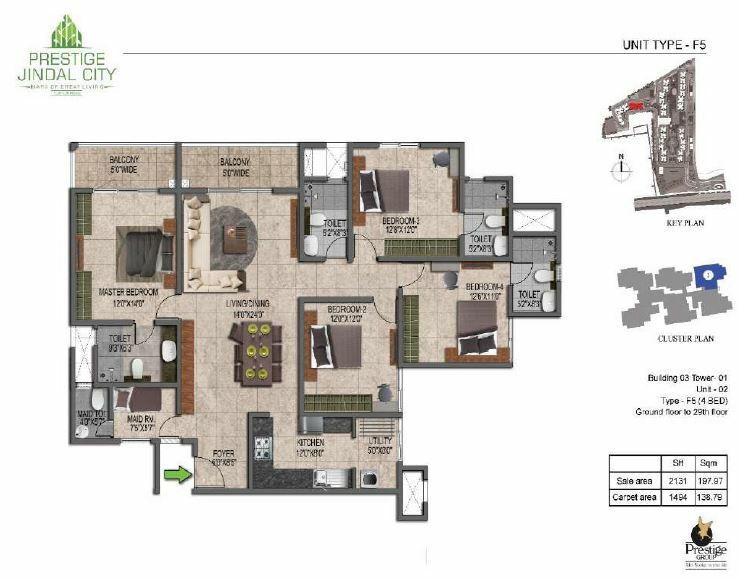 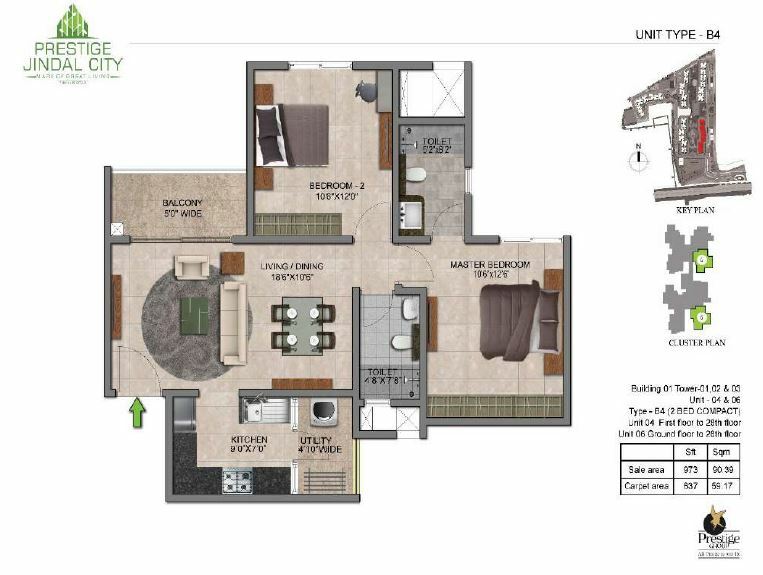 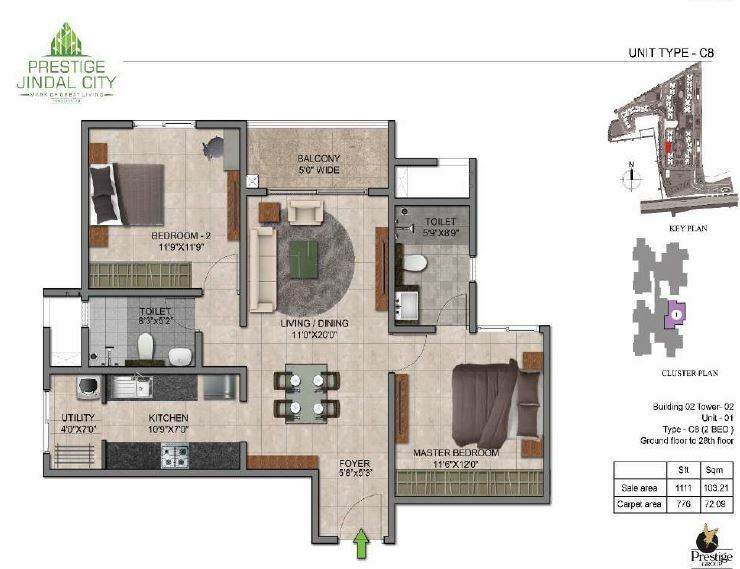 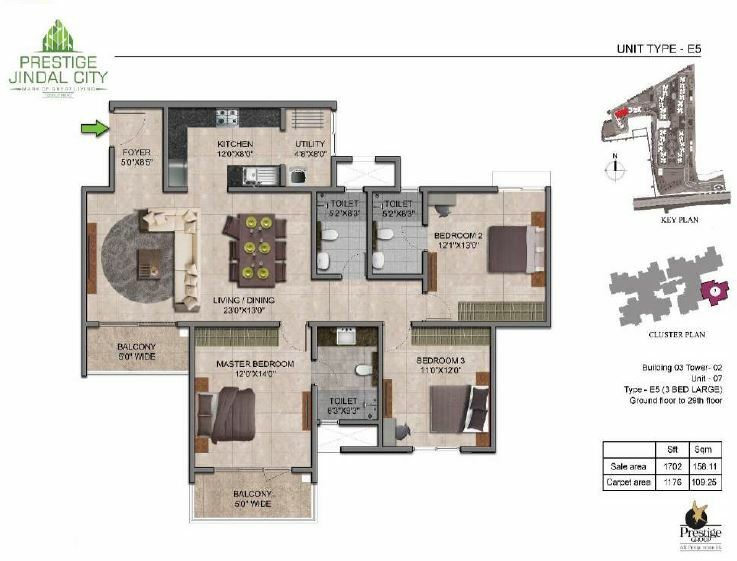 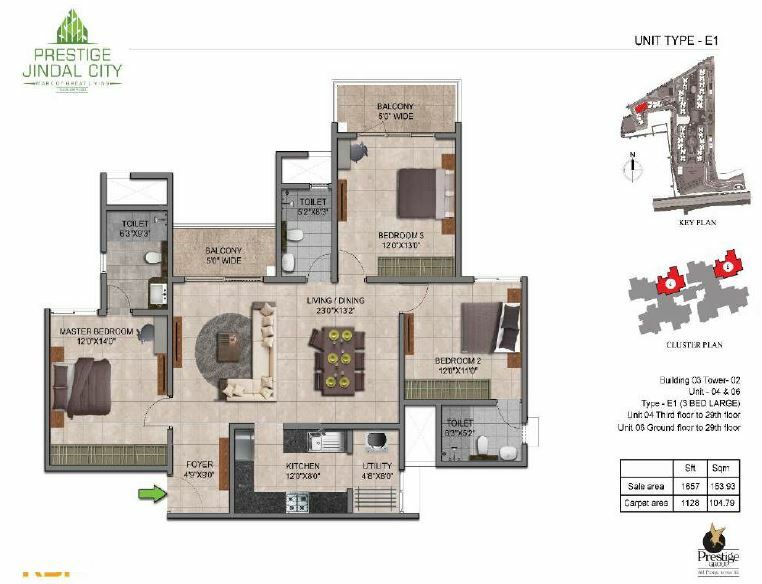 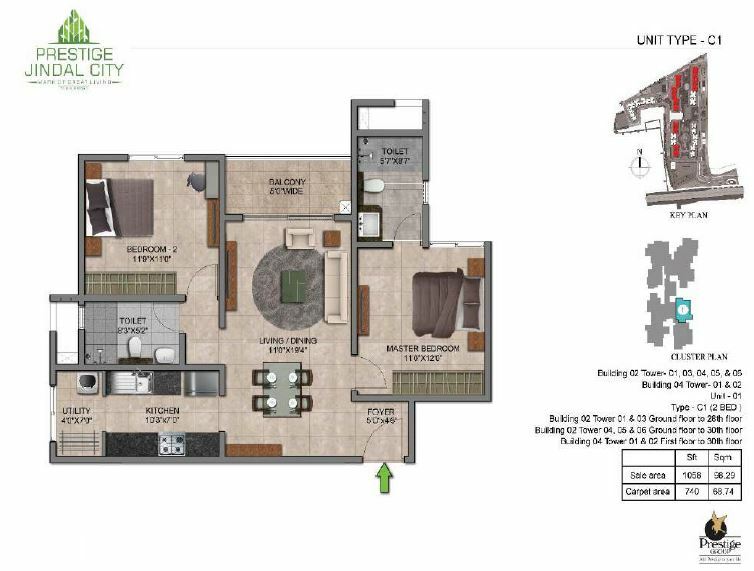 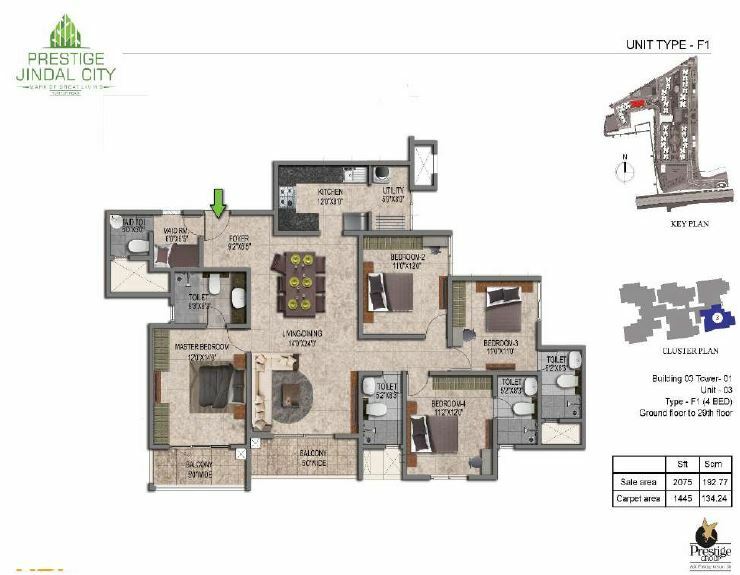 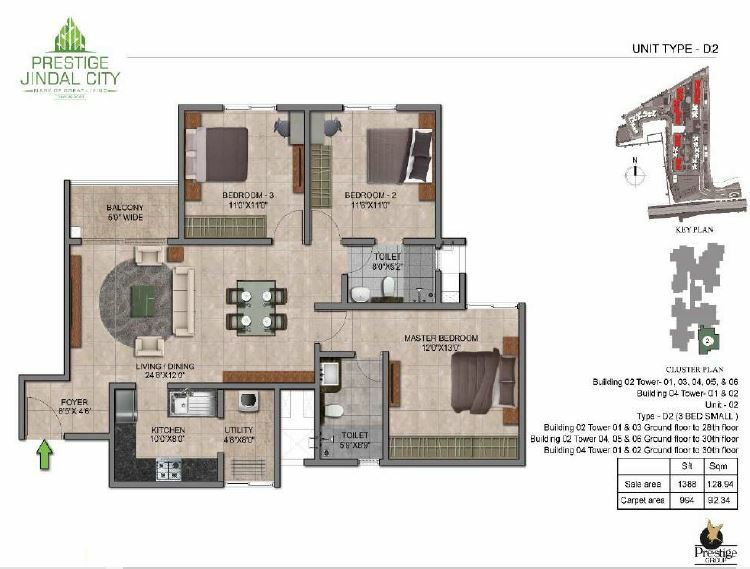 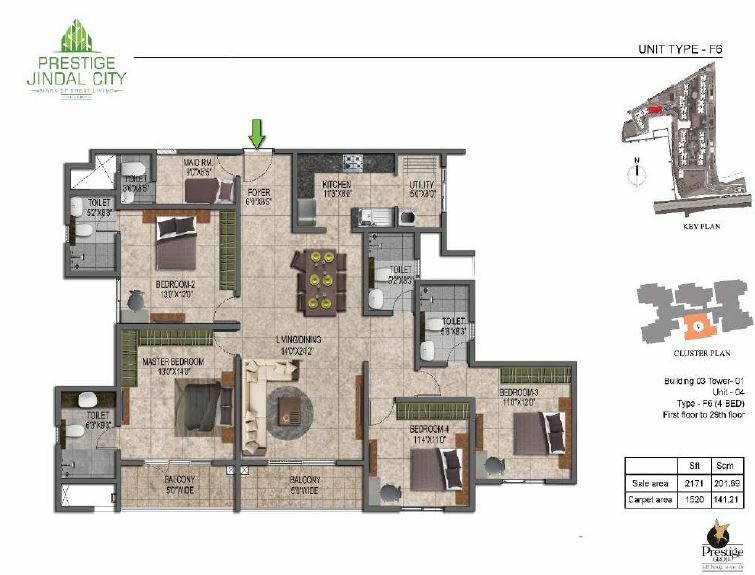 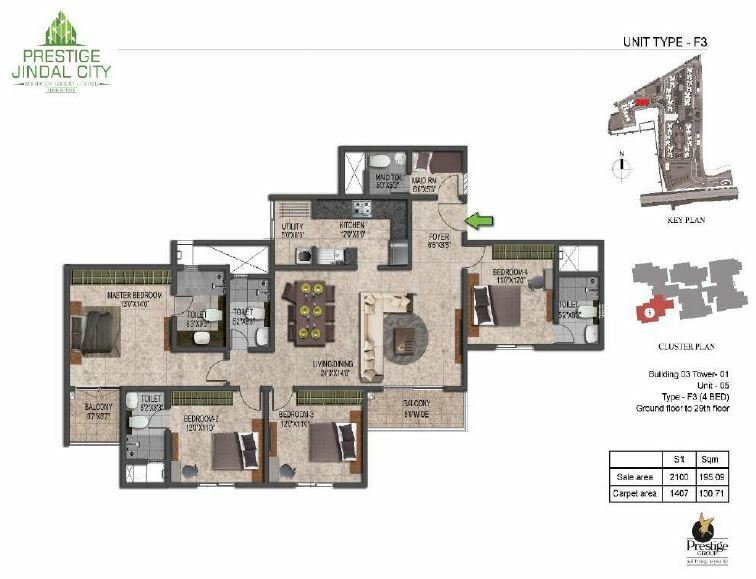 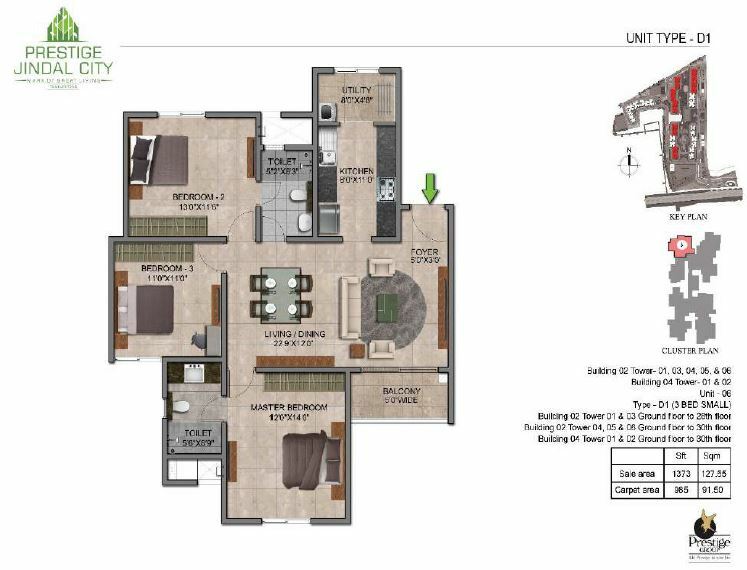 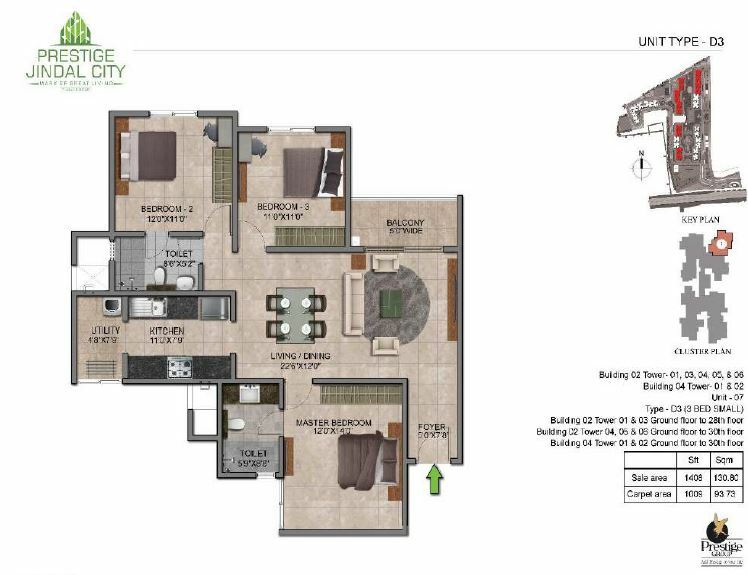 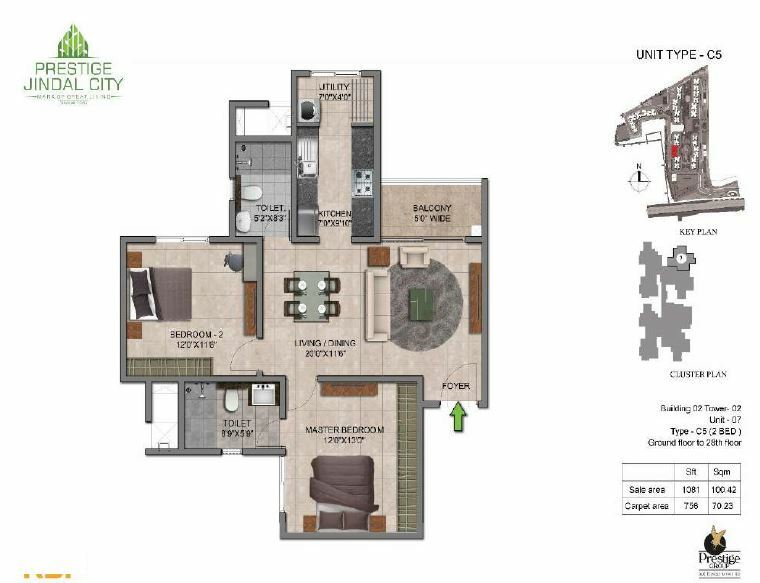 The floor plan of Prestige Jindal City will give a rough idea of the apartments available here. 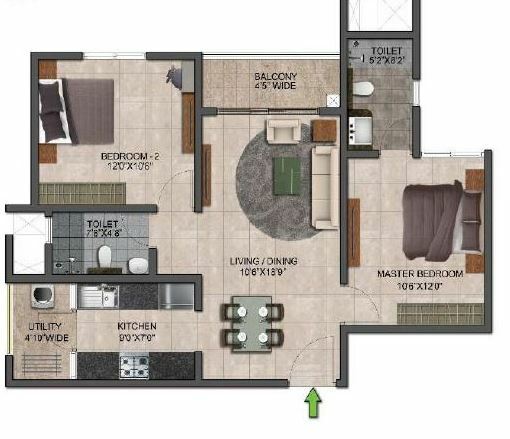 These 3D diagrams will help the buyers to visualize each room of their future abode like the bedrooms, kitchen, utility area, study room, foyer, drawing/dining area and even the balcony. 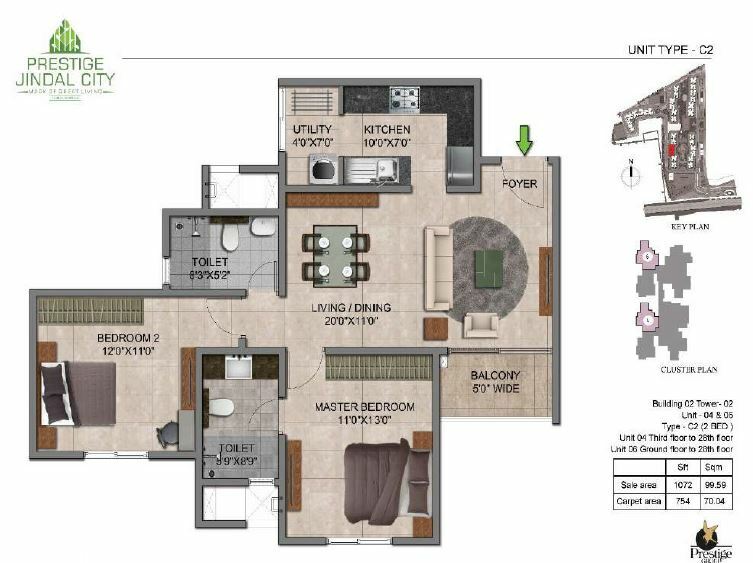 The measurement of the rooms will also be given clearly so that it’s easier for anyone to understand the unit sizes. 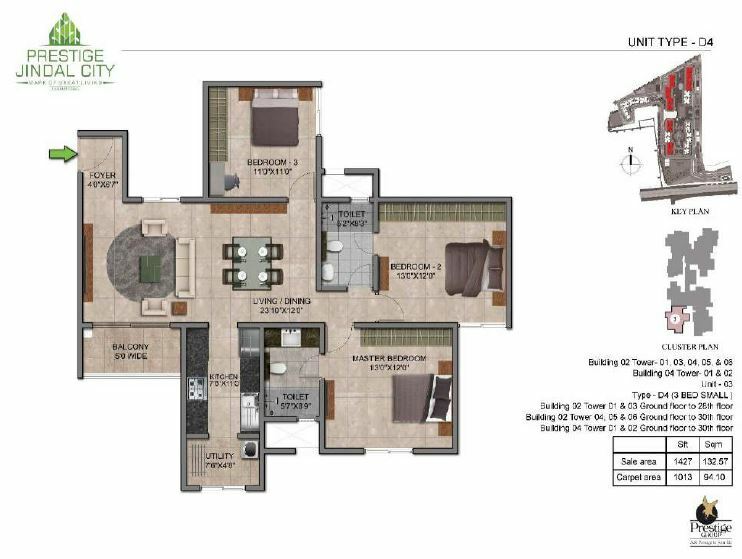 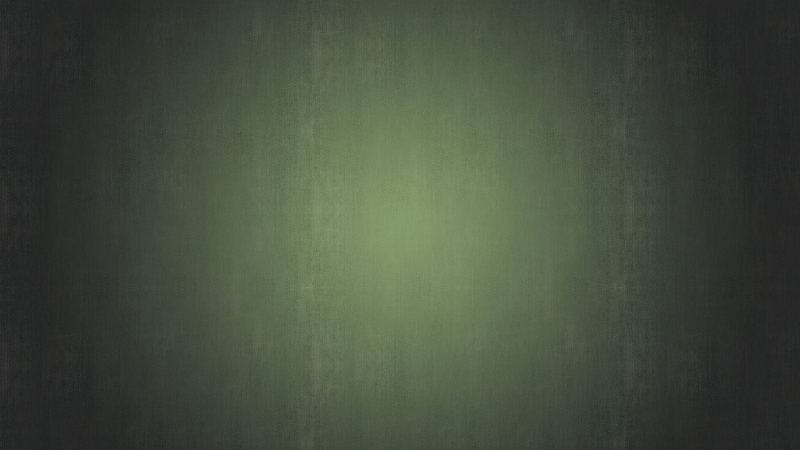 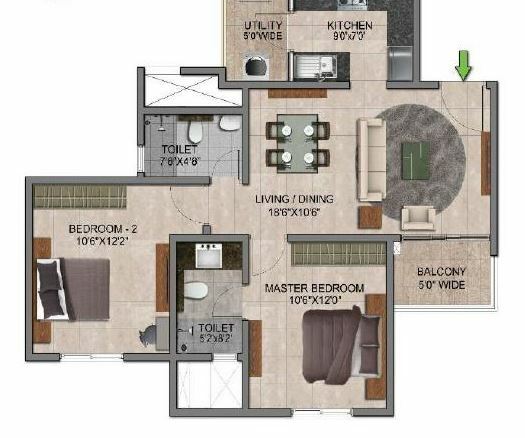 These floor plans assure that the buyer’s money is utilized in the best possible way. 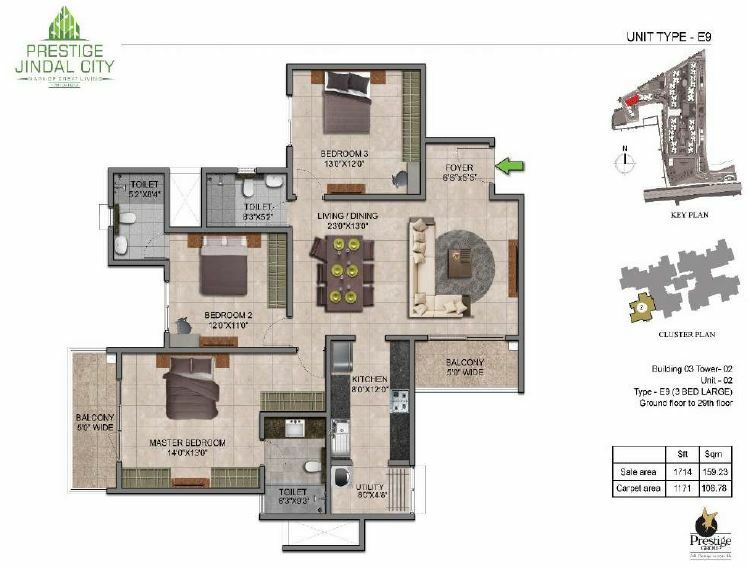 Floor plan is a physical drawing by experts which shows dimensional layout of the whole structure. 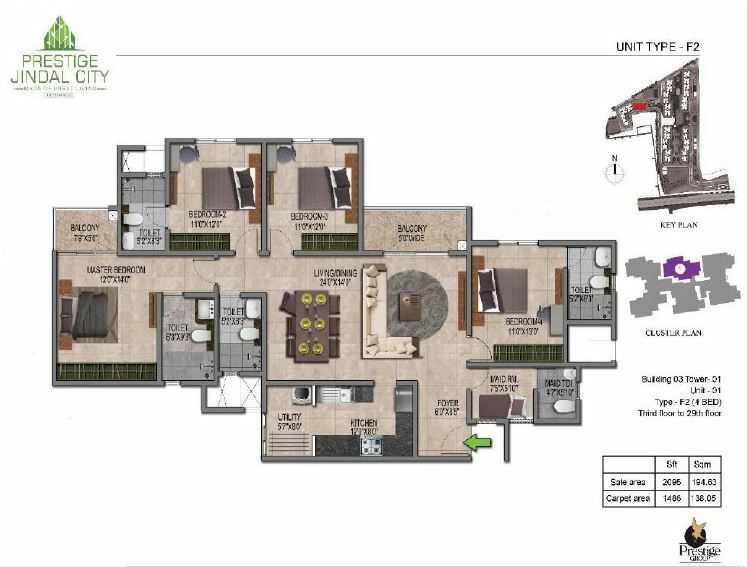 The floor plan of this project has taken care of every minute details of your dream home and paints clearly all the features of the amazing homes in this project. 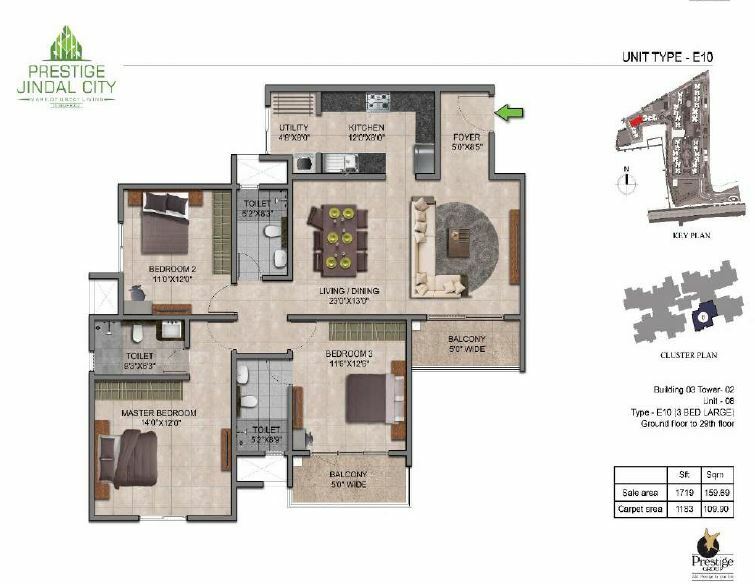 All the architectural details along with practical considerations have been given a detailed eye in the floor plans of Prestige Jindal City. 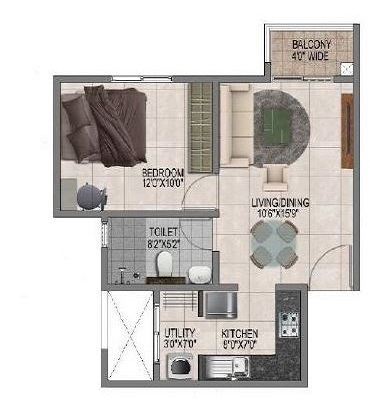 Bedrooms, living room, balcony, kitchen, toilets all the units have been well portrayed.